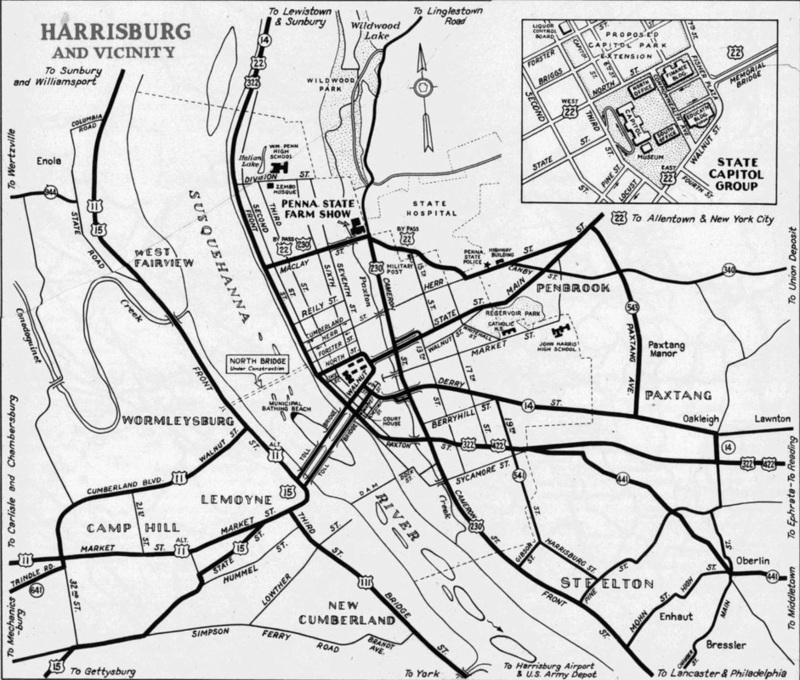 However, by the time of that map, US 15 no longer ended in Harrisburg. Despite the US 11 bypass in Lemoyne, US 111 probably still retained its original endpoint. However, the US 230 designation had been extended such that it stayed on Cameron Street, then turned west on Maclay Street, ending at Front. This photo is looking south on Front. 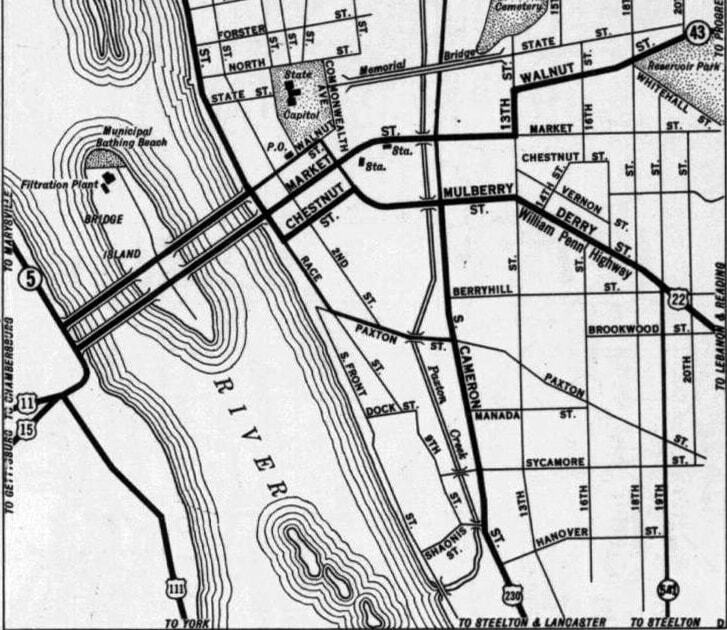 The Harvey Taylor Bridge is visible on the right; it aligns with Forster on the Harrisburg side of the river (left). 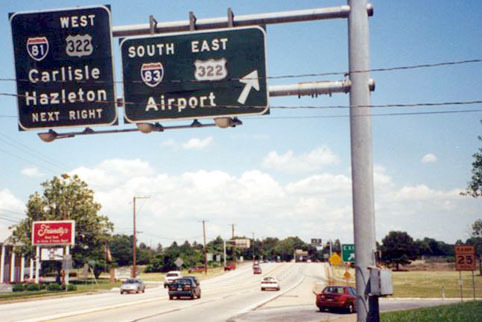 US 22-322 was here on Front; at Forster US 22 turned left, while US 322 continued straight ahead. That also would have been the west beginning of US 422 for a time. 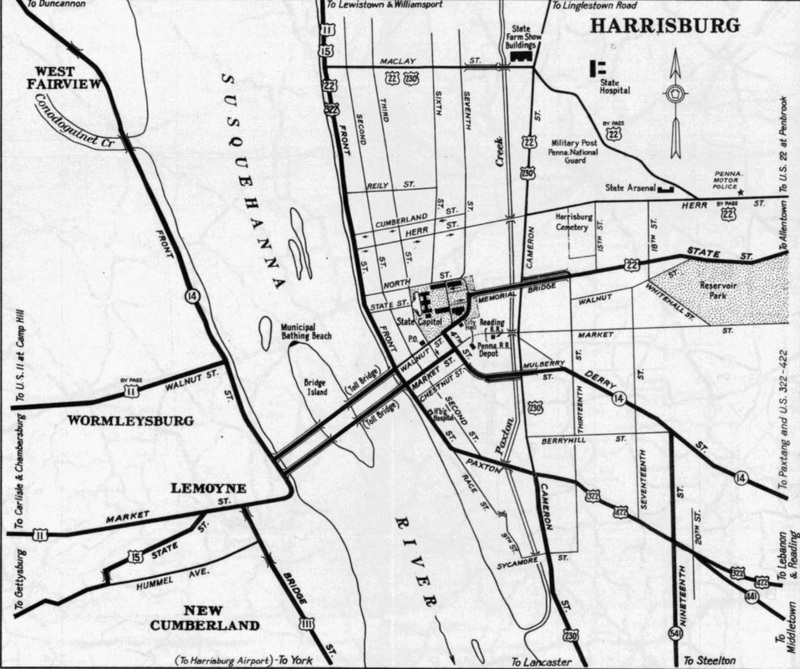 ​The north beginning of US 111 was to the right (with I-83 and eastbound 322) from 1961-1963; then US 111 was decommissioned. 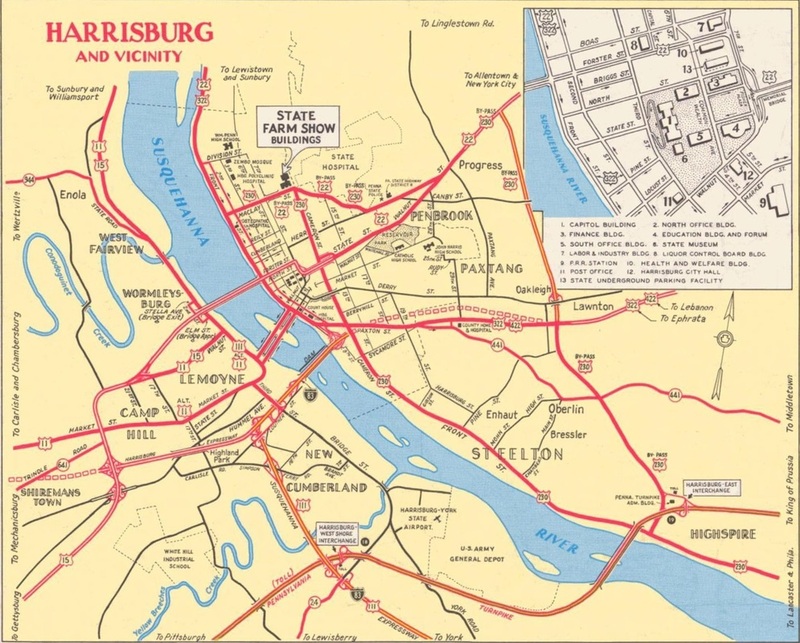 And by the time of the 1970 map, US 422 had been truncated to its current west terminus in Hershey, so today no US routes end in Harrisburg.